Accessories are made of brass, ABS-plastic, stainless steel, zinc alloy and other metal alloys. These materials are not suffered corrosion and intended for installation in places with high humidity and temperature differences. In contact with water even at high temperature materials do not isolate particles posed threat to health of people. 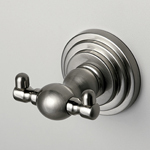 Items produced by these materials are characterized by strength and durability. We also use “matt chrome” (satin) plating. “Matt chrome” (satin) plating is made by special brushes with diamond bristles that allow achieving satin smooth surface. “Matt chrome” (satin) plating is very practical. On such plating you will never see dry stains from water. Light bronze and dark bronze plating. Accessories that require this kind of finish pass the bronze plating process. Whether the ultimate color will be lighter or darker depends on the exact proportion of metals in the alloy used during the process. Finally, accessories are polished and lacquered. All items are used with plastic O-rings and washers which are necessary for tight and noiseless joint of metal and glass. O-rings are made from transparent or black PP-plastic and have life duration not less than 10 years. This material is steady to heating and chemical reagent effect, have excellent flexibility and preserve original appearance and color of goods for a long time. All series of WasserKraft accessories are used with glass (matt or transparent). Some series can be used with snow-white ceramics. You can buy a series with glass or with ceramics. In each package you can find fitting kit and installation manual. Head of dispenser is produced from the brass; it is not suffered corrosion and intended for installation in places with high humidity. Operational life of measuring valve is about 50 000 cycles (pressing). It means that family of four will be able to use dispenser during 5 years without any restrictions. Measuring valve has smooth motion and measures a certain quantity of liquid soap (0,7-1ml). For filling liquid soap from dispenser simply press the measuring valve. Shelves are made from tempered matt or transparent glass with thickness of 6mm. Tempered glass is 5-10 times stronger than standard glass. When it breaks it disintegrates into small blunt pieces in comparison with normal annealed glass. Tempered glass has thermal strength and can endure temperature of about 300 degrees. 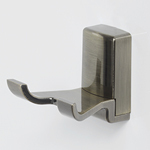 - Items are fastened to the wall by mounting plate. Mounting plate is fastened to the wall by self-tapping screws, after that item is fixed to the plate by retaining screw. 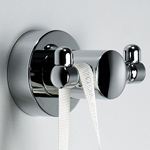 - Items are fastened to the wall directly through the body of item. 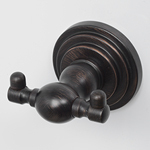 Item is fastened to the wall by self-tapping screws, after that the fastening place is covered off by decorative cap.